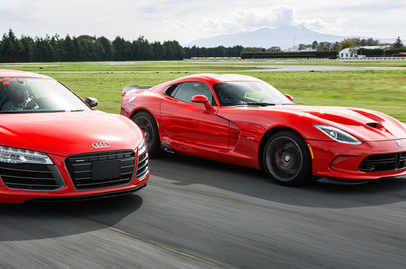 We found a video online showing these two V10 monsters on the road and it was a close fight. Again both cars are a beauty to behold leading us to the ultimate question. If you had the opportunity to drive these beauties which one of them will end up on your bucket list? (Alternate color vr. both in RED)! Let the American muscle vs. German Engineering Race begin! Unfair the Audi is 4WD...pulling away sure faster. American Muscle for me anytime! 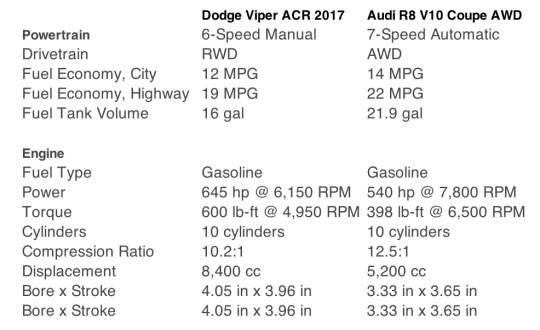 Its Dodge Viper for me anytime... Who needs a tiny high strung Euro turbo engine when u can have a superbly reliable and rugged 8.4L OHV V10 in the Viper? American muscle still wins hands down in terms of reliability and ease of maintenance. Many parts are shared with their lesser counterparts so costs and availability is much lower and easier. Please PM us or email us at comms@sgcarmart.com with your details to collect your prize. Prizes will be forfeited if we do not hear from you by 30th April 2018. Thanks for playing!